Thanksgiving Tea Party? Am I crazy? This article is a Tea Party 101. It very simply shows you how inviting an unfussy tea party can be. Thanksgiving and the weekend after can be a great time to gather those you love and unwind a bit. Why not give it a go! At the end of this article I have included a link to an awesome Crockpot Chai Tea recipe that I discovered on a recent blog search. I think you will love it. 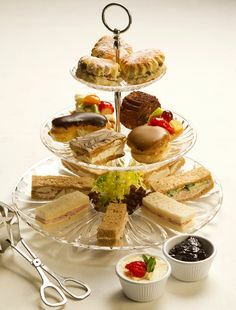 When we think about tea parties, it is easy to imagine the British high society in a Victorian era setting, enjoying an elegant affair. For some, tea parties are a synonym for classy get-togethers. And, yes, with time, they evolved into more elegant, refined gatherings. However, in England (the birthplace of tea parties), tea time was made widely popular by the working class, that took a moment in the late afternoon to enjoy their evening supper. 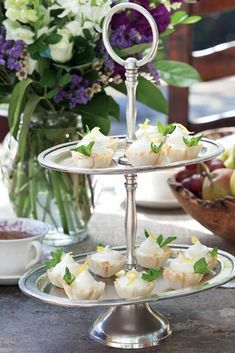 Tea parties can be as elegant as you want them to be, or as laid-back as you want them to be. It’s all in the little details. When we think about Thanksgiving Day, a special occasion comes to mind. 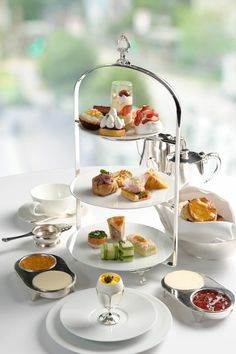 For tea enthusiasts, it is a perfect opportunity to host a tea party. A Thanksgiving tea party needn’t be an extremely elegant affair. 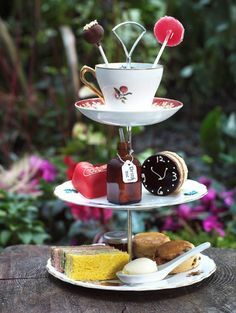 Just the right amount of detail, can give your tea party the delicate touch to make it the memorable, special party you want for an important holiday. The Thanksgiving Day tea party should be scheduled, as other formal afternoon tea parties, between 2PM and 6PM. After the invitations are sent, purchase the tea and related accessories you’ll need for your celebration. 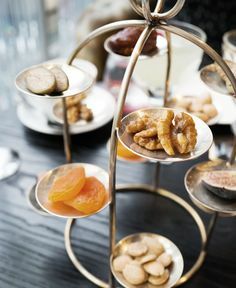 As tea party meals are usually light, afternoon snacks; you can choose to make bite-sized versions of traditional favorites, remembering to include the classic desserts! When the food is ready, remember to decorate your tables with your best table cloths, pretty flowers, and your china or silver tea pots and accessories. Placing a variety of teas in a tea chest is an elegant and practical way to offer options to your guests when serving tea. 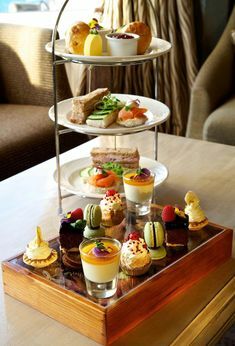 It is important to include different tea flavors, and popular choices for afternoon tea are: Earl Grey (a classic favorite), mint (a refreshing flavor), raspberry (or other berries), and lemon. Nevertheless, some tea brands offer special, seasonal treats; a popular autumn flavor is pumpkin spice tea, that can blend in perfectly with your Thanksgiving Day tea party! A Thanksgiving Tea Party is a Great, Unique Way to Celebrate. You don’t need much to prepare it, as it is all in the little details you want to share with your guests. Tea is one of those little details that can make the celebration a special one. Thanks so much Jean. My students are my pride and joy and I love seeing them fulfill their tea dreams! Thanks for the wonderful idea and the crockpot tea recipe. I can’t wait to try it! Lovely to hear from you, Debbie! I hope you enjoy trying the recipe.